A 42-year-old man, who had almost non-existent peripheral vision, has been convicted of dangerous driving causing the death of a 70-year-old woman. David Byrne from Sunnyhill, Castlemartin Lodge, Kilcullen, Co Kildare was suffering from a medical condition affecting his eyesight. The prosecution said he should not have been driving. He failed to declare this condition when he obtained a driving licence and insurance. He had denied the charges. Patricia Dunne, 70, was walking home from shopping on 16 October 2015 when she crossed Collins Avenue East in Dublin. A van travelling in one direction had slowed down to allow her to cross the road but she was hit by Mr Byrne's car which was travelling in the opposite direction and was thrown up in the air. She later died from her injuries. 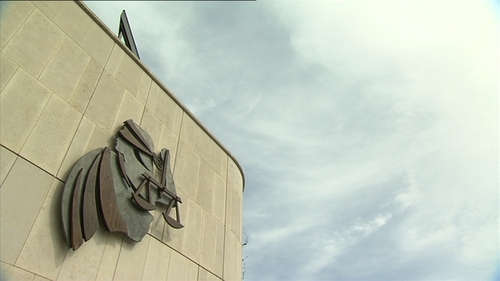 Gardaí who attended the scene spoke to Mr Byrne who appeared to be "in deep shock", the jury was told. David Byrne was suffering from a medical condition known as Usher Syndrome Type 2, which results in difficulty seeing in low light and also affects peripheral vision. Prosecuting counsel Fionnula O'Sullivan said as far back as 1997, Byrne was told by a doctor that he should not be driving. An optometrist who gave evidence to the trial said Mr Byrne's peripheral vision was "almost non-existent". He said he noticed Mr Byrne using his sense of touch to enter the room when he attended an appointment at Specsavers in 2012. Aengus Morrin said Mr Byrne told him then that he had problems navigating at night and had been diagnosed in 1997 with Usher Syndrome which affects hearing and eyesight. He also said he did not drive. A clinical ophthalmologist who examined Mr Byrne in 1997 said he had been bumping into objects at night time for two years previously. He diagnosed Usher syndrome and "had a chat with him" about driving. A letter written by Dr Paul Kenna said he had strongly advised against driving at night or in daylight. During cross examination, defence counsel Michael O'Higgins said Mr Byrne had no recollection of the conversation with Dr Kenna but remembers being told by another consultant that he could keep driving as long as he was able. Dr Kenna also agreed that Mr Byrne could have passed a driving test in 1997 but said he would not pass one today. After more than three hours of deliberation the jury found him guilty of dangerous driving causing death by an 11 to one majority verdict. The jury also found him guilty of fraudulently obtaining a driver's licence and insurance by unanimous verdict. He will be sentenced on 4 May when victim impact evidence will also be heard. In closing arguments yesterday, prosecuting counsel told the jury it was very easy to have sympathy for the family of Patricia Dunne and also for David Byrne. But she said this case was not about sympathy, so they must focus entirely on the evidence. She said the way he obtained his driver's licence and insurance was by deception in not declaring his condition. She said as far back as 1997, he was strongly advised by a doctor not to drive. The court heard that having Usher Syndrome was a personal problem for Mr Byrne, but it became a very serious problem for the public when he made the decision to drive a car. "As pedestrians and members of the public we are entitled to assume that anyone who gets into a car and has made a decision to drive can actually see," Ms O’Sullivan said. She said it was open to the jury to bring in a conviction for a lesser offence of careless driving causing death, but she suggested this was not a case of driving without care and attention it was about a direct, immediate and serious risk to the public and falls within the category of dangerous driving. Ms O’Sullivan said on the day of the accident, Mrs Dunne was clearly visible and had been on the road for more than ten seconds before the impact. If Mr Byrne had reacted within the normal time frame he would not have hit her, she said. "This is not about delayed reaction, there was no reaction at all," she said. She said there was no evidence of swerving or of skidding and any submissions by the defence about a lack of skid marks being due to the car having an anti lock braking system was a "red herring". Defence counsel Michael O'Higgins said the prosecution's case did not pay anything close to the required level of analysis and attention required for a fair verdict to be reached. He said the prosecution was inviting the jury to look at the incident only from Mr Byrne's conduct and that was a skewed basis. He said using studies to calculate reaction times, Mrs Dunne had a third of a second to clear the vehicle. The case therefore, was about "split second decisions and split second timing", he said. Looking at the case viewing only Mr Byrne's driving was not the real world, according to Mr O'Higgins adding: "It cannot follow that Mrs Dunne was crossing the road in a perfectly normal way and everything that happened was my client's fault. "She was a very real human being who was crossing a busy road and who had a decision to make. She was negotiating two lanes on a busy artery in the city... she crossed into the second laneway when there was the narrowest of margins to clear the car. "You can't say these are unrelated events and that if a pedestrian walks onto the road and continues walking and is hit by a car the only person to bear responsibility is the driver. I suggest that would be very unfair." He said the prosecution had "utterly failed" to put the effects of Usher Syndrome in context and there had been no expert evidence about how the disease affects everyday life. Mr Byrne had been driving for 20 years and he had said he was told by a doctor to keep on driving for as long as he was able to. There was no evidence of a comparison between the effect of his condition in 1997 when he would have been entitled to get a driving licence and 2015, Mr O'Higgins said. He said while the prosecution said Mrs Dunne would have been visible from 65 metres out, Mr Byrne not seeing her did not equate to dangerous driving. "If he had seen her and had been watching her and a child walked out from the other side of the road and he knocks down the child well then he might be sitting here explaining that he did not see the child because he was concentrating on someone else and wondering what they were going to do. "Not seeing someone does not equate to dangerous driving."